Power Shorts: Shake Your Bon Bons for Power | OhGizmo! By Hazel Chua on 06/17/13 • Leave a comment! Is your phone running low on power? 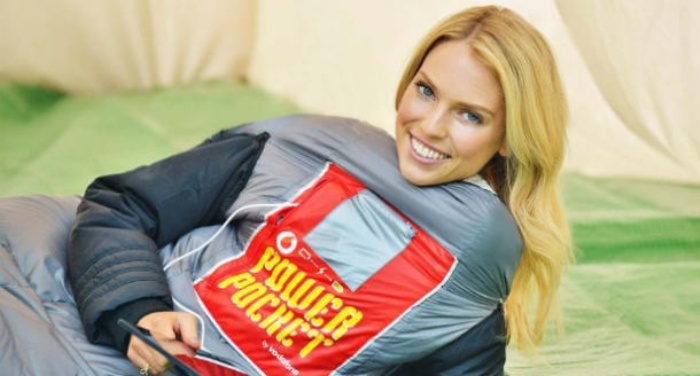 That should be no problem if you’re wearing shorts with the Power Pocket, because all you’ll have to do to charge up your phone is shake your booty. Clearly it’s not the easiest or most practical way to charge your battery, but it’s probably one of the funnest, especially if you’re in the right place, with the right people. 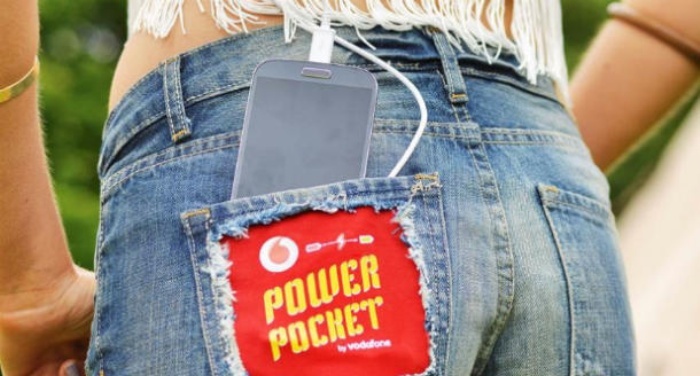 The shorts were created by Vodafone with the help of researchers from the University of Southampton. They were unveiled to attendees of UK’s Isle of Wight music fest, who I’m sure had a blast trying it out. Basically, the Power Pocket is lined with foam-like ferroelectret materials with permanently-charged surfaces. Whenever this material is deformed by movement, kinetic energy is produced. According to Vodafone, a full day’s worth of walking and dancing will give the device a four-hour charge.